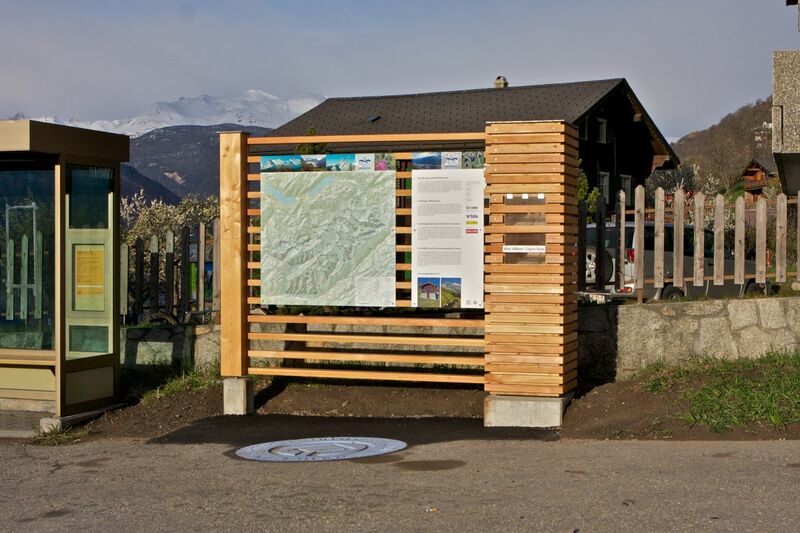 Well informed about the World Heritage Region: The info point of the UNESCO World Heritage Swiss Alps Jungfrau-Aletsch offers a large panorama map, details regarding the area and the nomination criteria, and a brochure shelf. There you will find the folding map for the UNESCO World Heritage site as well as a selection of the comprehensive series of thematic and regional brochures. The scattered settlement is characteristic for Birgisch. The village is composed of a multitude of hamlets that are spread all over the plateau. The many hamlets create scenic spots with a valuable building structure. The uniformly designed info points and access points can be found throughout the whole World Heritage Region.